Machinists Union members will ride as a union in Washington, DC’s annual 2018 Rolling Thunder “Ride for Freedom,” the world’s largest single-day motorcycle event. It is believed to be the first time a national or international union will ride together in Rolling Thunder. 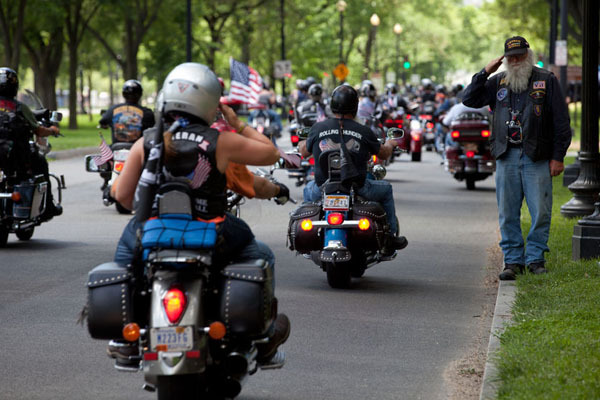 The Memorial Day Weekend ride, which dates back to 1988, gives tribute to POW/MIA families while embracing the service of veterans and active duty military. Rolling Thunder events begin on Friday, May 25 and conclude on Monday, May 28. Deadline to register for the event is April 30, 2018.